The Association of Gaming Equipment Manufacturers (AGEM) have announced that Gavin Isaacs has been selected as the recipient of the 2018 Jens Halle Memorial Award Honoring Excellence in Commercial Gaming Professionalism, and Frank Legato has been selected as the recipient of the 2018 Peter Mead Memorial Award Honoring Excellence in Gaming Media & Communications. AGEM previously announced the creation of this unique annual awards program to acknowledge the lasting impacts on gaming by Halle and Mead, two distinctive industry veterans who died unexpectedly in 2015. Honorees will be announced each year at the Global Gaming Expo (G2E) in Las Vegas, and this year’s awards ceremony for Isaacs and Legato will take place on Wednesday, Oct 10 at 4 p.m. at AGEM booth No. 3700 near the main entrance to G2E at the Sands Expo. Currently Vice Chairman of the Board of Scientific Games, Isaacs, 54, has a long history of success and respect in the global gaming industry. Previously, from 2014-2016, Isaacs was President and Chief Executive Officer of Scientific Games and a Board Director. Before joining Scientific Games in 2014, he served three years as the Chief Executive Officer of SHFL entertainment. Prior to that, Isaacs served five years as Executive Vice President and Chief Operating Officer of Bally Technologies. Earlier in his career, Isaacs served nearly eight years with Aristocrat Leisure Limited. During his tenure, he held key management positions, including General Manager, Legal and Compliance; General Manager, Marketing and Business Development; and Managing Director, Europe, before being named Americas President in 2003. Before joining Aristocrat, Isaacs was a partner with the leading Australia law firm DLA Phillips Fox. With a background in gaming dating back 35 years, Legato, 61, has served as Editor for Global Gaming Business (GGB) magazine since 2002 and is the leading voice for new slot titles and gaming technology from both the industry and player perspectives. His career in gaming journalism began as Associate Editor for Public Gaming magazine in 1984 and he launched and served as Editor of Casino Gaming magazine in 1985 before moving on to Casino Journal, where his focus on slot companies and their new offerings became renowned throughout the industry. On the player side, Legato started sharing his humorous tales with readers of first Atlantic City Insider and then Casino Player in 1997 and also guided Strictly Slots magazine and its focus on slot and video poker players. A sought-after speaker and trade-show moderator, Legato is also the author of two books on gaming, “How To Win Millions Playing Slot Machines… Or Lose Trying” and “Atlantic City: In Living Color.” He has a B.A. in journalism and M.A. in communications from Duquesne University in Pittsburgh. Halle, a longtime Bally and Novomatic executive in Europe who was most recently CEO of Gauselmann Group’s Merkur Gaming based in Florida, died suddenly on May 20, 2015 at the age of 57. Mead, the founder and publisher of Casino Enterprise Management magazine, died suddenly in Las Vegas on June 24, 2015 at the age of 54. Chief Executive Officer and President of Novomatic Americas Rick Meitzler and Global Gaming Business (GGB) founder and Publisher Roger Gros were the recipients of the AGEM memorial awards program in 2017. Ainsworth Game Technology founder and current Executive Chairman Len Ainsworth and then-Golden Entertainment Director of Corporate Communications and longtime Las Vegas Review-Journal gaming columnist Howard Stutz were the initial recipients of the AGEM memorial awards program in 2016. AGEM is a non-profit international trade association representing manufacturers and suppliers of electronic gaming devices, lotteries, systems, table games, online technology, sports betting, key components and support products and services for the gaming industry. AGEM works to further the interests of gaming equipment suppliers throughout the world. Through political action, regulatory influence, trade show partnerships, educational alliances, information dissemination and good corporate citizenship, the members of AGEM work together to create benefits for every company within the organization. 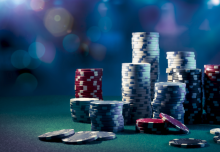 Together, AGEM has assisted regulatory agencies and participated in the legislative process to solve problems and create a business environment where AGEM members can prosper while providing a strong level of support to education and responsible gaming initiatives.